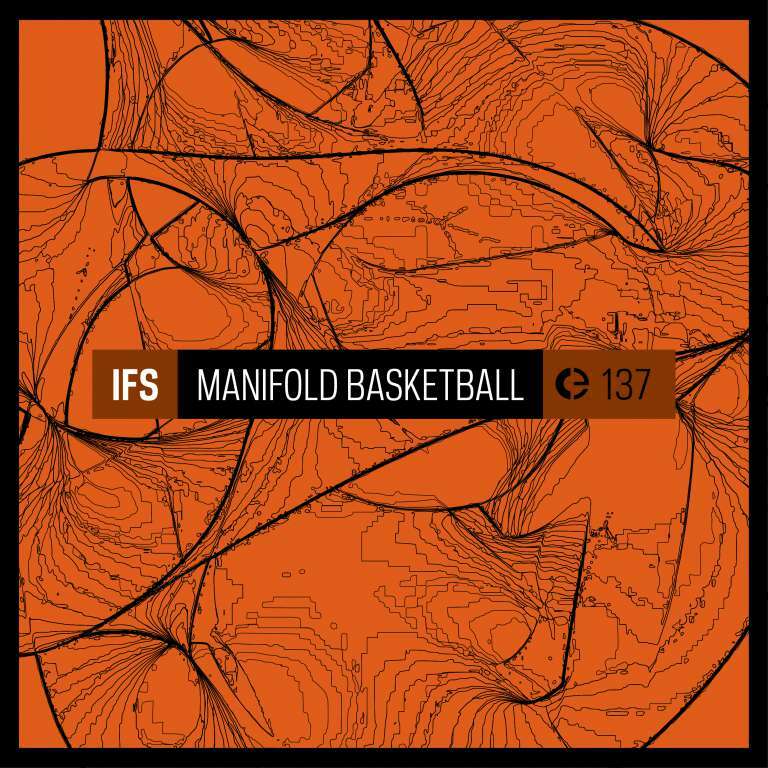 Manifold Basketball includes four tracks that focus on the connection between sound and different types of space, between the close and distant locations, using for this purpose a spectrum of reverbs and – often strongly modified – field recordings. These reverberations were modulated and treated in such a way as to give the impression of being in contact – if possible – in several spaces at the same time or in a space that is endlessly changing. Ifs is a project by Krzysztof Ostrowski (Freeze) and Mateusz Wysocki (Fischerle). Krzysztof Ostrowski is a musician, producer and instrumentalist from Bydgoszcz, most frequently associated with a broadly defined electronic scene. Many sound-related experiences contribute to his artistic activity: music education, years of music production, audiophile passion and even regular performances in a military band. He moves through various music areas, such as techno, experimental, ambient, dub, jazz, kraut, improvisation. His extensive set of instruments and broad artistic imagination are his identifying marks. He acts solo, as the audiovisual duo Soundscape Mirror (with Tom Skof), and in other configurations usually related with Bydgoszcz’s alternative scene and the club Mózg. Mateusz Wysocki is a musician and producer whose diverse creative interests include electroacoustic music, prepared field recordings, dub techno, instrumental hip-hop and radio drama. His sound installations were presented in Poland, Greece, Ireland, USA, Italy and several other countries. He regularly collaborates with Lech Nienartowicz (as Porcje Rosołowe), Michał Wolski (as Mech), Łukasz Kacperczyk (as Bouchons d’Oreilles) and Micromelancolié. In addition, he has improvised / recorded with : Jakub Pokorski, Robert Niziński, Jacek Szczepanek, Filip Kalinowski, Ryszard Latecki, Janek Ufnal, Adam Frankiewicz, Zofia Chabiera, Natan Kryszk, Konrad Gęca, Tomasz Wegner, Łukasz Podgórni, Jacek Mazurkiewicz, Bartek Kalinka, Wojtek Kwapisiński, Wojtek Kurek, Miguel A. Garcia, Sebastien Branche, Freya Edmondes, Bogumiła Piotrowska, Héctor Rey, Rudy Decelière, Ilia Belorukov, Rinus van Alebeek. Together with Lech Nienartowicz he runs the cassette label Pawlacz Perski. Mateusz is also the author of the children’s books “Skrytki” and “Las Zabaw”, with illustrations by Agata Królak. Music by Krzysztof Ostrowski (Freeze) and Mateusz Wysocki (Fischerle).